1995 (1963). Homology, Springer (Classics in Mathematics) ISBN 978-0387586625 (Originally, Band 114 of Die Grundlehren Der Mathematischen Wissenschaften in Einzeldarstellungen.) AMS review. 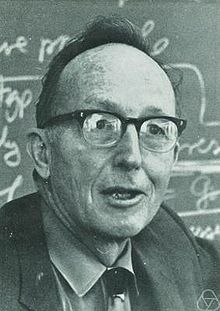 McLarty, Colin, 2005, "Saunders Mac Lane (1909–2005): His Mathematical Life and Philosophical Works," Philosophia Mathematica 13: 237-51. With selected bibliography emphasizing Mac Lane's philosophical writings. --------, 2007, "The Last Mathematician from Hilbert's Göttingen: Saunders Mac Lane as Philosopher of Mathematics,", British Journal for the Philosophy of Science 58(1): 77-112. 1. ^ Mac Lane (2005), p. 6. O'Connor, John J.; Robertson, Edmund F., "Saunders Mac Lane", MacTutor History of Mathematics archive, http://www-history.mcs.st-andrews.ac.uk/Biographies/MacLane.html .